When we were sent Where’s my cupcake? game by Orchard Toys for izziwizzikids.co.uk to review, Miss M’s face lit up immediately. The girly pink box is covered in cupcakes – she couldn’t wait to play. The game consists of cupcake shaped cards in 10 different varieties and the object of the game is to match cupcake cards and end up with the biggest pile on your plate!! Miss M loved the different cupcake cards and when it was her turn always described the cards by the topping whether it be the chocolate one, sprinkles, strawberry, sparkles, lemon etc etc. This in itself proved a very entertaining part of the game that is different and fun compared to usual card type games. It also adds a girly element that is hard to find in games for younger players. An added learning element to the game was “manners”. During the game if you pick up a card that you are unable to match and keep, you can offer it to other players if they have a matching card on top of their pile. To do this the player with the card is encouraged to ask “Would you like a cupcake?” to which the recipient replies “Yes please” and “Thank you” once given the card. Miss M really enjoyed doing this and it reminded her of manners. Not only did it encourage verbal manners but also the act of sharing and giving the card to someone else – something a lot of young children are reluctant to do. 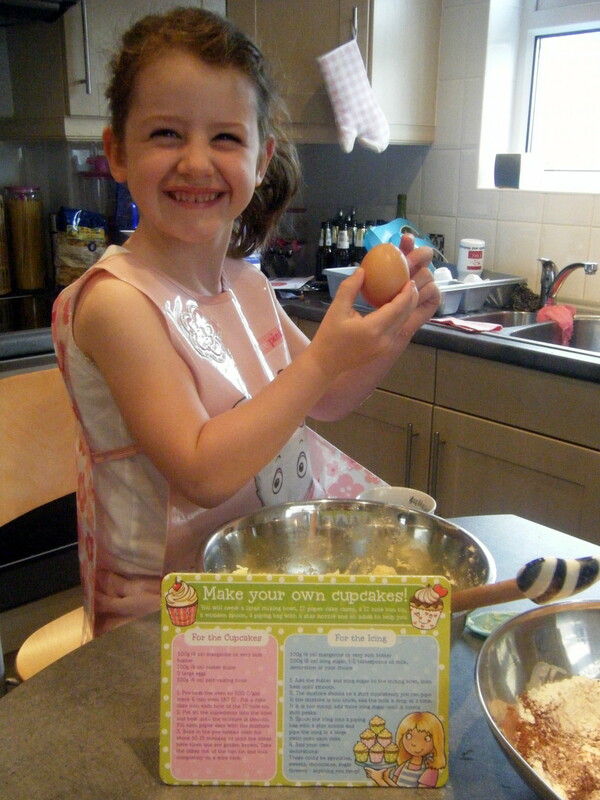 Also included in the box is a cupcake recipe card which Miss M was really excited by and couldn’t wait to make them so the next day we followed the instructions and had a fun baking session that resulted in some delicious cupcakes. This is a fun, girly game that we have played over and over again. We’d definitely recommend it and know it would make a lovely gift for any little girl. This entry was posted in Reviews and tagged cupcake, game, games, orchard toys, recipe, review, where's my cupcake? by Fiona Martin. Bookmark the permalink.